At Jubilee Bible Church, we want to partner with the parents and families in the discipleship of their children. Each weekend, we seek to engage our kids with the Gospel in a fun and age-appropriate way for infants through 6th grade! We use a great curriculum each Sunday morning called "The Gospel Project." 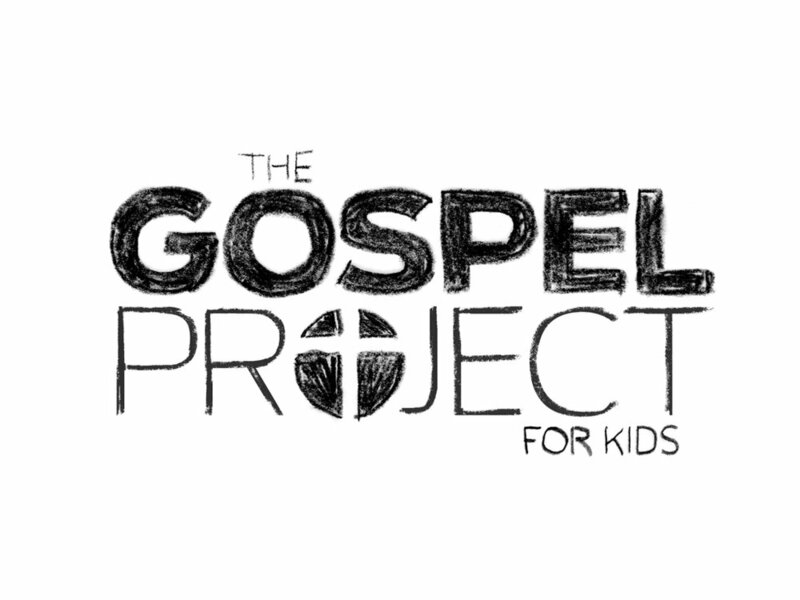 The Gospel Project® is a chronological, Christ-centered Bible study for kids that examines how all Scripture gives testimony to Jesus Christ. Over the course of three years, children will journey from Genesis to Revelation and discover how God’s plan of redemption unfolds throughout Scripture and still today, compelling them to join the mission of God. Every week, children in each age-group learn from the same passage of Scripture in a way that is appropriate to their developmental stage. This allows for one main lesson to be taught to the whole family regardless of the age of the child. Youth 7th grade and older are welcome to join the adults for worship. This is often where a child begins his or her journey through JBC Kids. Volunteers minister to families by providing a warm, caring and safe environment for children newborn through 3 years of age. Our nursery is divided into babies and toddlers with developmentally appropriate toys and activities in each room. In the nursery, children learn that God loves them through Bible stories, songs, games and crafts that match the same story and key ideas that older groups are learning. Each child is prayed for every week. This is an active place where 3 through 5 year olds participate in a variety of activities to lay a foundation of faith. Activities include singing, learning about who God is through Bible stories and object lessons, playing, praying together and making crafts. Our elementary kids meet in age-specific small groups between 10-10:35am. Then 1st-6th graders come together for chapel to worship the Lord and for teaching. Kids learn how these truths apply to their lives today through, Bible memory, prayer and relationships. Kids learn, apply and experience concrete examples of who Jesus is and what it means to follow Him. Both volunteers and kids have a blast as they grow stronger in their faith and as a community. There are plenty of ministry opportunities available to members and regular attenders of Jubilee Bible Church that give them the ability to exercise their spiritual gifts. As they minister to children, leaders learn valuable ministry skills and encourage one another to bring honor and glory to Christ (1 Peter 4:10-11). All of our volunteers go through an application process which includes references and a background check. All volunteers also go through training at least once a year to be refreshed on safety policies, spiritual development and teaching strategies. If you’re interesting serving in the kids ministry, please click the button to fill out an interest in serving form. We’ll get in touch with you shortly! Submit one of the following forms to help make your check-in process smooth and easy. We can’t wait to meet you! Be on the lookout for anyone in a bright orange JBC Kids’ t-shirt to guide you through check-in and to your child(ren)’s classroom. Children ages two years through twelfth grade are invited to join us on Wednesday evenings for a fun time of digging into the Bible, exciting games, building friendships, and memorizing Bible verses. Clubs meet Wednesday evenings, September through May. Register each child separately so that we can make sure their contact information and medial/allergy information is uploaded to our system correctly. We realize that you will have to enter some information more than once, but we feel this will keep your children safe and will also help with our record keeping. Pay close attention to payment information: make sure you are selecting the correct registration for the number of children you are registering, and also make sure you are selecting the correct supply charges for them. If you are unsure, you may take care of the payments the night of the Ice Cream Social as well. Please email lwilliams@jubileebible.org if you have any questions. Click below to register your child(ren) for the 2018-2019 Awana year.